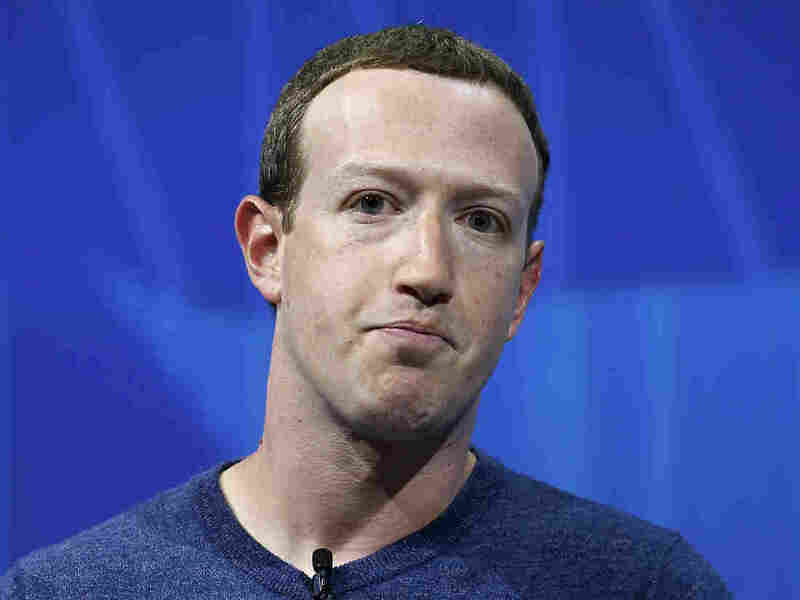 No Plans Of Leaving: Facebook CEO Mark Zuckerberg Fires Back At Critics In an interview with CNN, Facebook founder and CEO Mark Zuckerberg said that despite calls for his resignation, he is not stepping down. Despite calls for his resignation, Facebook founder and CEO Mark Zuckerberg is not planning to step down. In an interview with CNN Business that aired on Tuesday evening, Zuckerberg pushed back against the criticism his social media platform has received in recent years, and said he believes Facebook can be a force for the greater good. CNN asked if he was stepping down. Zuckerberg paused. "That's not the plan," he responded testily. "I'm not going to be doing this forever, but currently I'm not thinking that makes sense." Facebook's woes began with the revelation that Russian agents used the platform to interfere with the 2016 presidential election, by spreading misinformation and propaganda. Since then, the company has had to deal with one scandal after another, including a massive user data and privacy breach which impacted tens of millions of users. As the scandals have mounted, so have calls for Zuckerberg to step down. "He's shown that he's incapable of leading the broken behemoth that is Facebook," declared a recent op-ed in the Washington Post. There has also been bubbling unrest among investors, some of whom recently proposed Zuckerberg give up his dual role as chairman and CEO. The company, they say, needs independent oversight. Earlier this month, a damming New York Times investigation alleged that Zuckerberg, his lieutenant Chief Operating Officer Sheryl Sandberg and others at Facebook knew about the Russian interference campaign long before the public did, and tried to sweep it under the rug. The investigation claimed that Facebook then went on a smear campaign. It hired a Republican research company to discredit critics, "in part by linking them to the liberal financier George Soros. It also tapped its business relationships, lobbying a Jewish civil rights group to cast some criticism of the company as anti-Semitic." Zuckerberg has denied these claims. The New York Times story also called out Facebook's decision to allow an inflammatory 2015 post, by then presidential candidate Donald Trump, regarding Muslim immigration. In the CNN interview, Zuckerberg defended the decision not to have this post removed: "I think it's very important that people have the opportunity to hear what political leaders are saying." This is not the first time the question of how Facebook should handle hate speech has come up. Several months ago, Zuckerberg found himself in hot water for allowing holocaust deniers on the platform. More recently the United Nations accused Facebook of playing a role in enabling a misinformation propaganda campaign in Myanmar. That escalated into the ethnic cleansing of the Rohingya Muslim minority. In a rare move, Facebook admitted that it played a role in the escalation in Myanmar. Soon after, it announced that it will be creating a special independent board to review hate speech. But for the most part, Zuckerberg also said that the media's view of the company was very different from his own. "We have a different world view than some of the folks who are covering us," he said. The big question is: will these scandals ultimately impact the popularity of Facebook? Facebook's user growth is decelerating in North America, and declining in Europe, but it remains, unquestionably, the most ubiquitous social media platform in the world, with nearly 1.5 billion daily users. And on Tuesday, Zuckerberg stood firm in his view that Facebook can be a place for good. "More people will keep on getting a voice. I think that that's good," he said. "There are certainly going to be issues that we need to work through over time, but I think that while we are doing that, we can't lose sight of all of the really positive things that are happening here as well."